Kee-Hwee Ngiam - EnviroCert International, Inc.
Mr. Ngiam’s passion lies in People Development, Customer Experience, Pollution Prevention, and Partnership and Collaboration. He started practicing engineering in 1997 and has had many years of stormwater management experience. He has earned several professional certifications including Certified Professional in Erosion and Sediment Control (CPESC), Certified Professional in Storm Water Quality (CPSWQ) and Certified Professional in Industrial Stormwater Management (CPISM). As a practicing engineer, he has also been involved in Green Infrastructure and Green Building Design and Construction. This experience has led him to become a Leadership in Energy & Environmental Design Accredited Professional with expertise in Building Design & Construction (LEED AP BD+C). In addition, Mr. Ngiam has earned his Certified Safety Professional (CSP) and Certified Compliance and Ethics Professional (CCEP) through his practice in Environmental Health and Safety (EHS) Compliance. Mr. Ngiam has been conducting training for more than 10 years. He is an approved trainer for the CPESC and CPSWQ review courses. He is also an authorized trainer for the Occupational Safety & Health Administration (OSHA) Outreach General Industry and Construction Industry training courses. Mr. Ngiam earned his Bachelor and Master degrees in Civil Engineering from Oklahoma State University. He also has an MBA from Webster University. He is a member of the Institute of Engineers Malaysia (IEM), American Society of Safety Engineers (ASSE) and Society of Corporate Compliance and Ethics (SCCE). 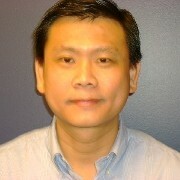 Currently, Mr. Ngiam is a Senior Manager of EHS Compliance with Walmart.